Upcoming London based electronic rockers Tenth Electric are pleased to announce the release their brand new EP 'Unshakable', delivering a message of empowerment, hope and well-being. The four-piece, originally from the South West & South East of England, as well as Europe in the form of their Hairy Roman Drummer, take multiple influences from the likes of Nothing But Thieves, Imagine Dragons and Muse for this epic sounding EP, recorded in a Manor House Studio in the heart of the Cotswold’s. South Central Britain meets the world on this broad, sweeping, uniting, record. To support their new EP, Tenth Electric are showing their more subtly soulful side by releasing delightful acoustic versions of all their rock tracks. 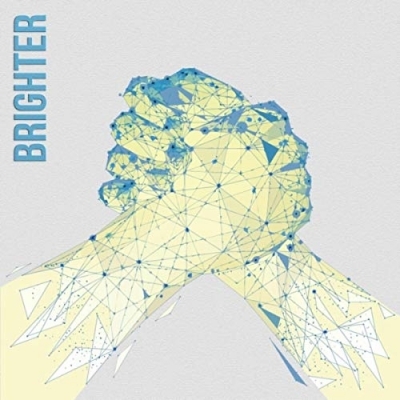 Their first such release 'Brighter' Acoustic Version is out on Blue Monday 21st of January - allegedly the most unhappy miserable day of the year - this track reminds us of the small but enjoyable things in life and how special they are. To help lift the 'Gloom'. Lead singer Luke explains, "Our song 'Brighter' is a track about seeking joy in the little things in life. In a world where we are all travelling at 100 miles an hour, 'Brighter' reminds us to appreciate the simple things, as ultimately these are what really matter." It’s worth noting the ‘Happiest’ time of the year is reckoned to be around the last weekend in June, and Tenth Electric’s Video certainly brings that Mid Summer Vibe to a beautifully crafted track, recorded in their London studios during their Acoustic sessions, after one of our hottest summers ever. Tenth Electric’s Campaign ethos is one that music can make those important connections to people feeling isolated; making it their mission to reach out with their latest songs and connect with everyone, whatever they are going through in life. We are one tribe and being together for each other is an important part of getting through life the best way possible!